So it was a real pain to get all of these apps to work on Yosemite. 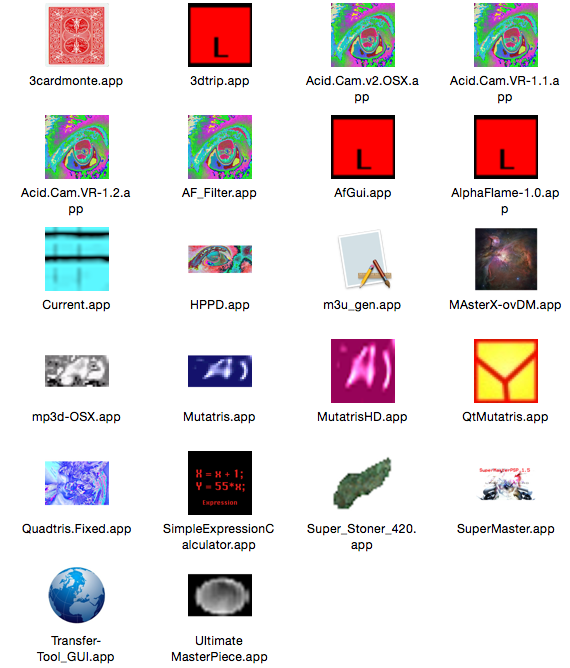 A lot of the SDL demos were compiled with Snow Leopard and a old version of SDL. Something SDL used was deprecated and that mean't my apps wouldn't work. So I had to recompile them and repackage them. I removed a few of the older puzzle games. So here it is LostSideDead MacOS X Apps Yosemite Edition.